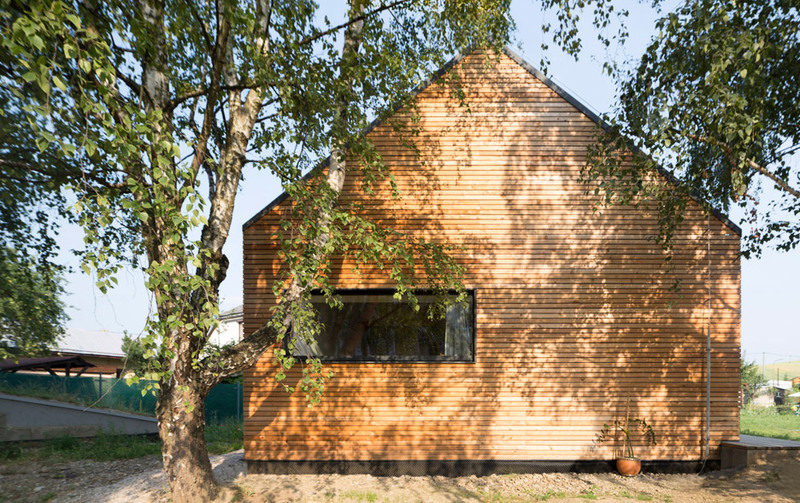 Modelled on traditional wooden barns, this gabled home in the Slovakian town of Stara Lubovna has a pair of little wooden lofts squeezed beneath its pitched roof . 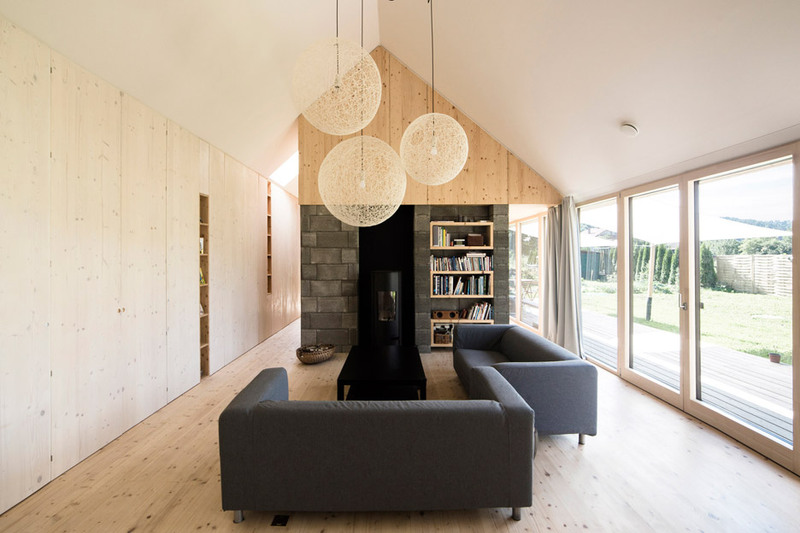 The DomT residence was created by local architect Martin Boleš for a couple and their two children, who had been prepared to leave their apartment for a larger loved ones residence. 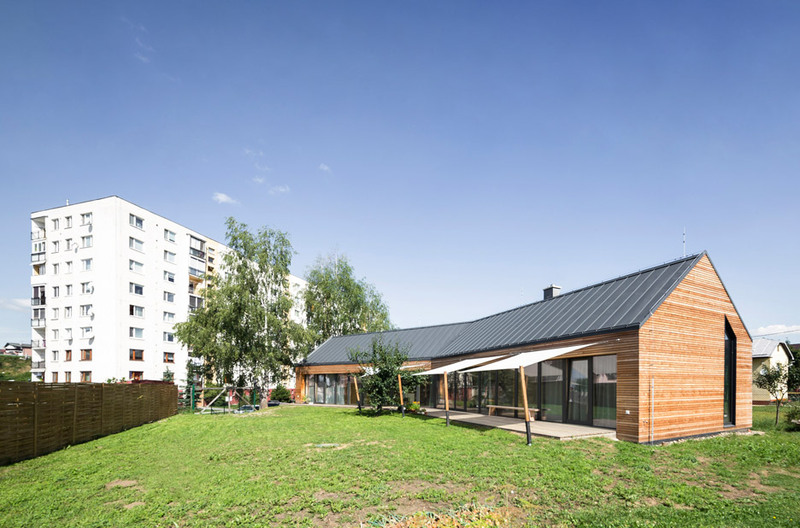 The developing is situated within a residential neighbourhood in the grounds of a property in which one particular of the clients’ dad and mom grew up. Its plot is bounded by three mature birch trees, which assist provide privacy from some of the close by developments. 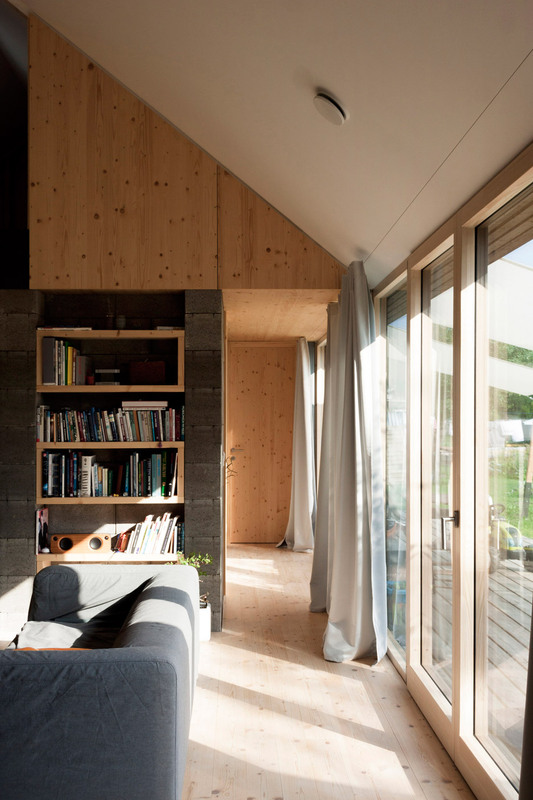 The house’s pitched-roof form and use of timber cladding reference standard barn-like structures referred to as stodola, which are frequent in the gardens and fields of this area. Its kinked floorplan generates a sheltered facade and terrace shaded by an current pear tree. “The figurative type of a barn has been extruded along the northern edge of the internet site and broken in the middle to maximise solar problems,” stated Boles. A pair of load-bearing concrete cores support the house’s lighter timber framework and the steel columns lining its large glazed facade. Positioned towards both end of developing, these units let the interior spaces to flow about them. 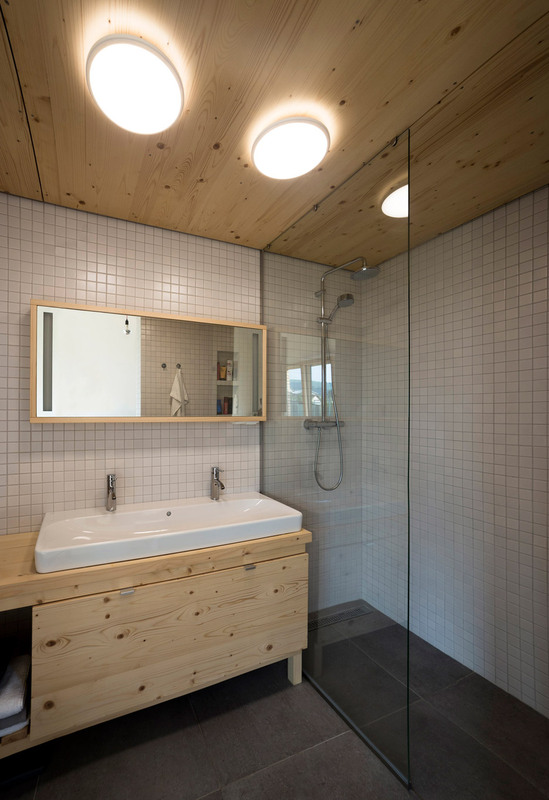 The concrete structures incorporate the building’s primary services, such as bathrooms, storage, kitchen units, a chimney, a small library and staircases that ascend to the small loft rooms. 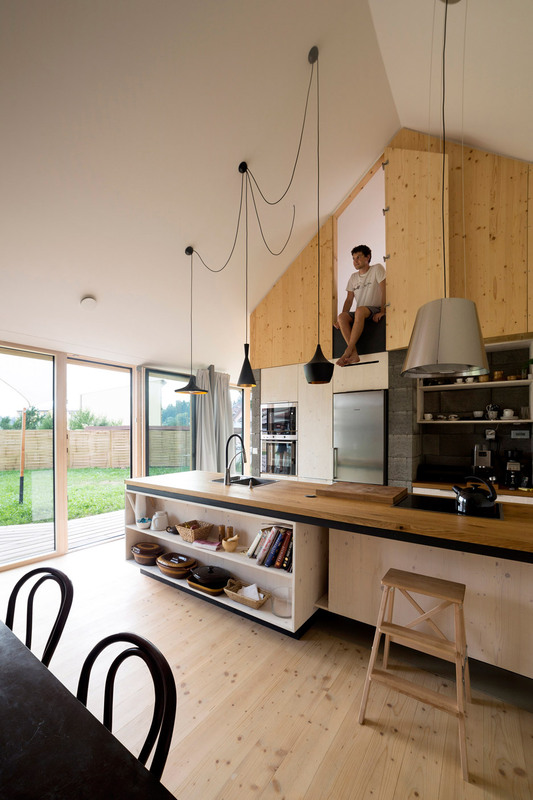 A related strategy was utilized in a north London loft conversion, where bookcases are also developed into a staircase connecting the living area with a sleeping platform, and in a task in Kiev, where shelves are arranged along the edges of stairs and a podium containing a modest library. 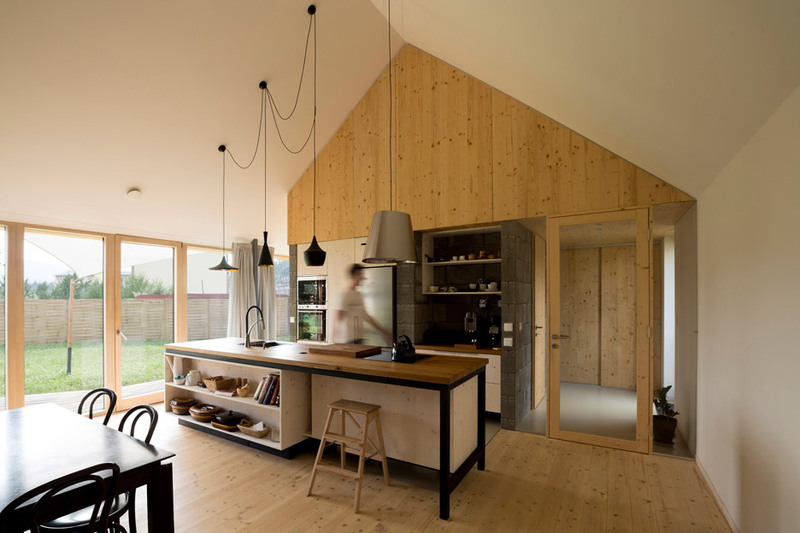 An open-strategy residing location accommodating the dining table and kitchen occupies the area at the centre of the DomT house. The area is linked to the backyard by full-height glazing and doors that open out to the terrace. 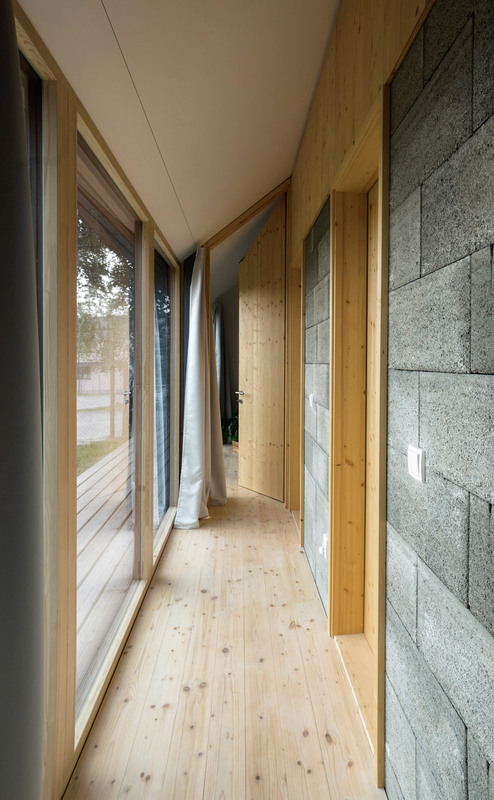 Natural components were used throughout the interior to contrast with the exposed concrete. 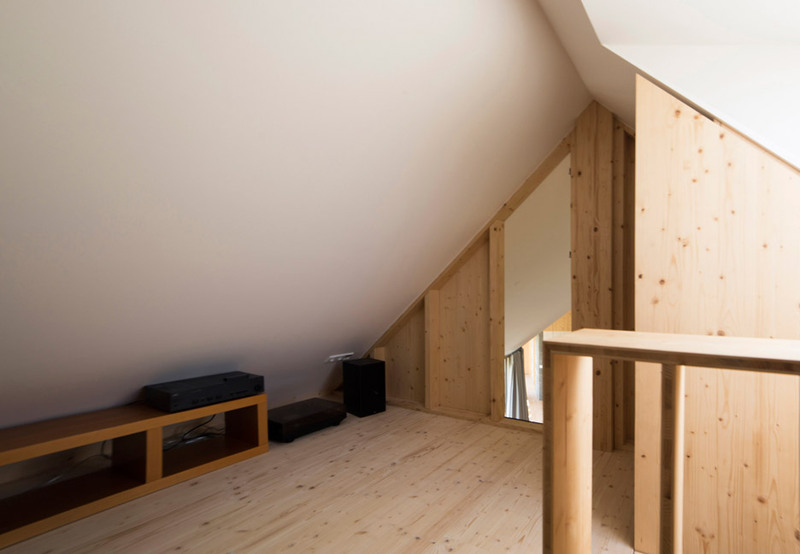 Spruce timber provides flooring, as nicely as window frames, doors and the front of a 14-metre-long wardrobe that extends along 1 wall and into the master bedroom. 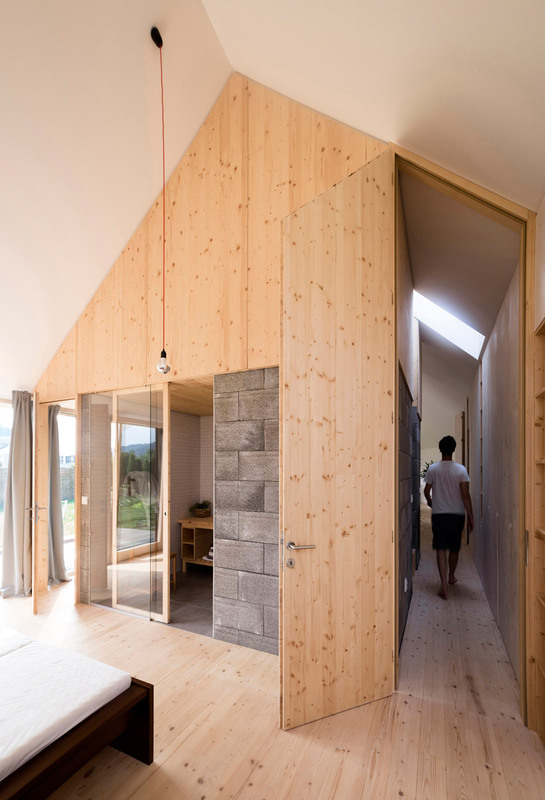 Two timber-lined rooms positioned on prime of the concrete boxes give loft spaces, used for routines this kind of as listening to music, functioning or enjoying with the youngsters. 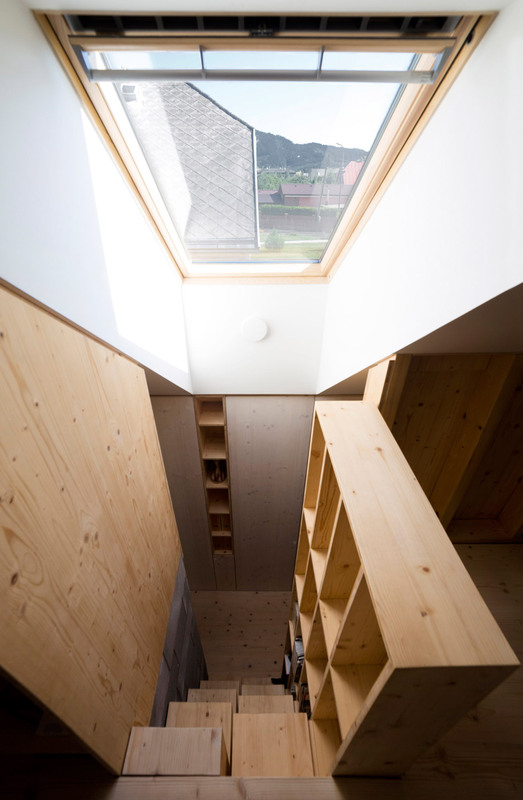 Hinged openings in the wooden surfaces provide views of the central area from these elevated rooms, while skylights supply vistas in direction of the town and its historic castle. 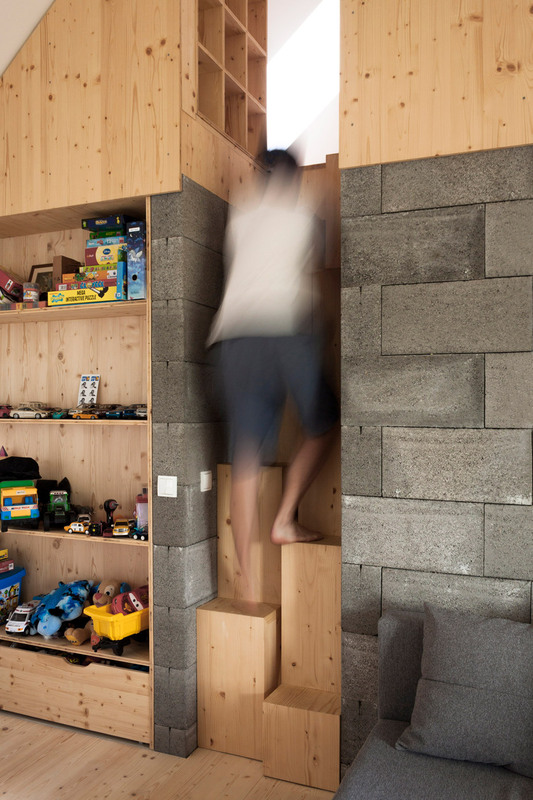 Wooden staircases with staggered treads are squeezed into the edges of the concrete volumes and are lined with shelving to make the most of the obtainable room. Photography is by Erika Bányayová and Martin Boleš.